Follow the live boards at the main 4ncl website. 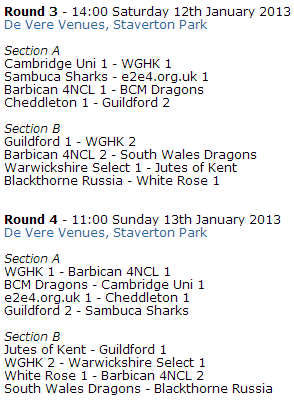 Gawain’s team Guilford is in Division 1, Pool B. Here are the pairings below.